Few moths back I have started facing problem with my connection pool, where intermittent message like “pool out of resource.. increase the pool size…” started coming in app UI, logs, causing issues with application functionality. To avoid that we thought of connection validation on Weblogic, by enabling “Test Connection on Reserve” but the real problem came just right after that when we started facing below error message in server logs. In our application we were using Oracle proxy connections. and then I came to know about one real fact of using Proxy connections on Weblogic. So i would like to share the same discussion with you all, hope this helps in case if you are struggling with the same. The deployment staging mode determines how deployment files are made available to target servers that must deploy an application or stand-alone module. WebLogic Server provides three different options for staging files: stage mode, nostage mode, and external_stage mode. The target servers then deploy using their local copy of the deployment files. 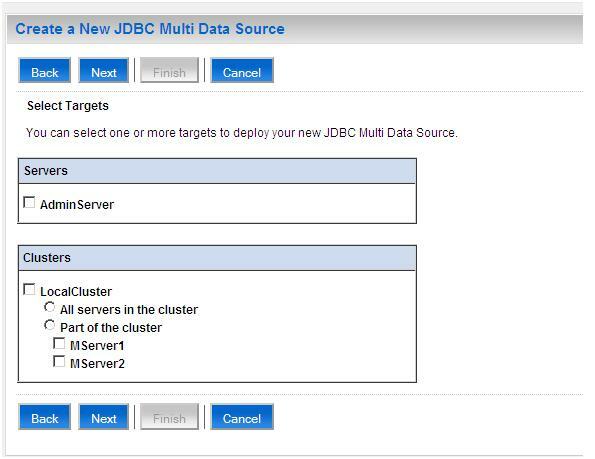 Deploying small or moderate-sized applications to multiple WebLogic Server instances. Deploying small or moderate-sized applications to a cluster. The Administration Server does not copy deployment unit files. Instead, all servers deploy using the same physical copy of the deployment files, which must be directly accessible by the Administration Server and target servers. Deploying to a single-server domain. Deploying to a cluster on a multi-homed machine. Deploying very large applications to multiple targets or to a cluster where deployment files are available on a shared directory. Deploying exploded archive directories that you want to periodically redeploy after changing content. Deployments that require dynamic update of selected Deployment Descriptors via the Administration Console. The Administration Server does not copy deployment files. Instead, the Administrator must ensure that deployment files are distributed to the correct staging directory location before deployment (for example, by manually copying files prior to deployment). With external_stage deployments, the Administration Server requires a copy of the deployment files for validation purposes. Copies of the deployment files that reside in target servers’ staging directories are not validated before deployment. You can use the -noversion option to turn off the requirement that deployment files be on the Administration Server, but the -noversion option causes versioning information to be ignored; therefore, you cannot use the -noversion option with versioned applications. For information, see Common Arguments. Deployments where you want to manually control the distribution of deployment files to target servers. Deploying to domains where third-party applications or scripts manage the copying of deployment files to the correct staging directories. Deployments that do not require dynamic update of selected Deployment Descriptors via the Administration Console (not supported in external_stage mode). Deployments that do not require partial redeployment of application components. The server staging mode specifies the default deployment mode for a server if none is specified at deployment time. For example, the server staging mode is used if you deploy an application or stand-alone module using weblogic.Deployer and you do not specify a staging mode. Notes: You can only change the server staging mode by using the Administration Console or by directly changing the ServerMBean via JMX. Note: Changing the server staging mode does not affect existing applications. If you want to change the staging mode for an existing application, you must undeploy the application deployment and then redeploy it with the new staging mode. The connection pool goes out of resource is very common issue we usually face across all types of applications. As there are plenty of reasons for the same like application is not closing the connections, concurrent user access of DB resources etc etc. Step 2: Once environment gets ready, run the below weblogic admin utility. After running this command, you will see a message on console stating the result of the operation. ****Note: This is just a workaround, not a solution, the action must be taken to handle this issue from application perspective, like making sure to close all the JDBC resources. Redirect STDOUT logs to Server logs in weblogic. Sometime we need to truncate the STDOUT Logs into parts as soon as it grows a certain limit. As STDOUT logs are controlled by JVM. But there are some tricks which we can use to achieve the same. Once we will start getting the STDOUT logs into server logs, we can easily rotate the server logs using Shell Script. 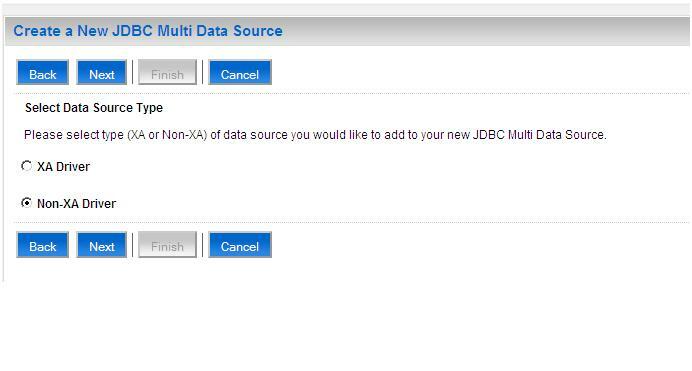 A JDBC multi data source is an abstraction around a group of data sources that provides load balancing and failover between data sources. As with data sources, multi data sources are also bound to the JNDI tree. 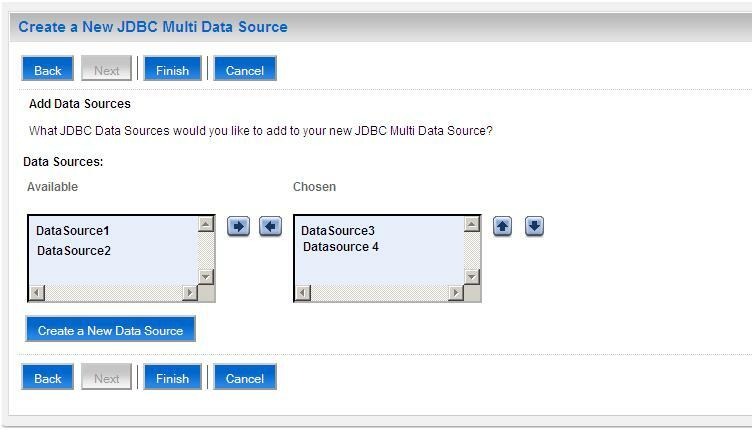 Applications can look up a multi data source on the JNDI tree and then reserve a database connection from a data source. The multi data source determines from which data source to provide the connection. 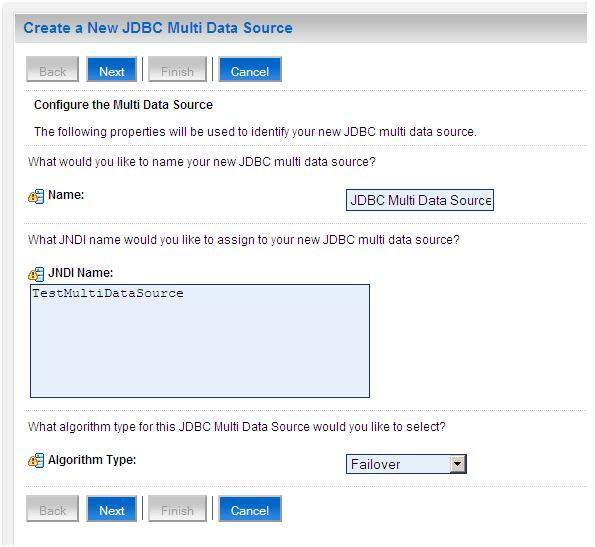 Below I will mention steps to create a MultiDataSource on weblogic 10. Step 1: First of all create 2 data sources, and keep the connection max size 100 each. There is a very nice feature where we can generate PLAN.xml for the application. After the command you will notice the below messages in console. Note: You can configure this in setWLSEnv.sh(unix) or setWLSEnv.cmd or you can define in admin console admin server startup settings.